The First Planned Community in the U.S.
Riverside is arguably the first planned community in the United States, designed is 1869 by Frederick Law Olmsted. The village was incorporated in 1875. The Riverside Landscape Architecture District, an area bounded by 26th St., Harlem and Ogden Aves., the Des Plaines River and Forbes Rd., was designated a National Historic Landmark in 1970. The town's plan, which was completed in 1869, called for curvilinear streets, following the land's contours and the winding Des Plaines River. The plan also accorded for a central village square, located at the main railroad station, and a Grand Park system that uses several large parks as a foundation, with 41 smaller triangular parks and plazas located at intersections throughout town to provide for additional green spaces. 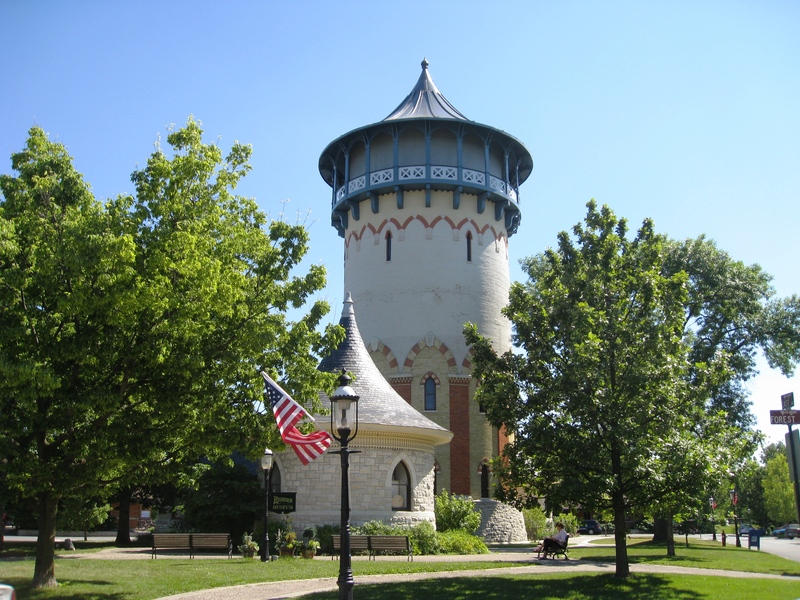 Riverside is like an architectural museum which is recognized by the village's National Historic Landmark designation. The village housing stock varies from well-maintained 1920's bungalows to huge Victorian and early 20th century mansions that attract architectural tours. The charming village center houses restaurants, shops, and the Metra train station.